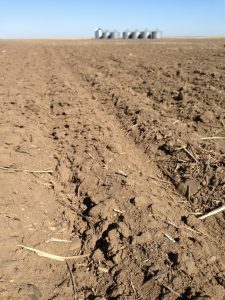 Tillage and harrowing in the spring can further dry out the seedbed. It does not conserve moisture. A moisture probe in tilled versus untilled land will demonstrate this. And instead of improving residue flow, these extra passes over the field to break down standing stubble may actually reduce residue flow through drills. Tillage can make dry soil conditions even worse.